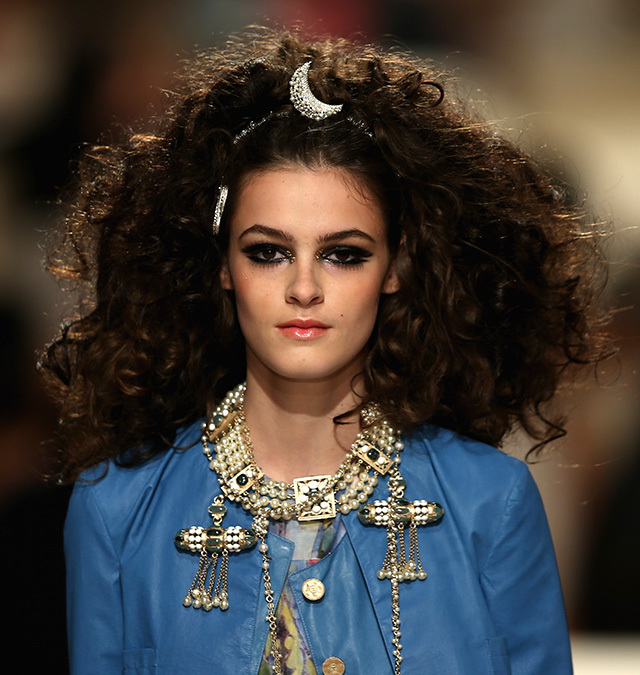 Karl Lagerfeld returned to the eastern category after the famous collection show Paris Bombay, and it could not determine the nature of make-up and hairstyles models. But this time the focus was not fabulous, India and the Arab world, however, respecting Muslim customs and traditions, almost all outfits Lagerfeld made ​​secure and demonstrated them in Dubai, one of the major cities in the Middle East. Bring Arab motifs in images of models Carl requested stylist Sam McKnight, constantly working backstage Chanel. 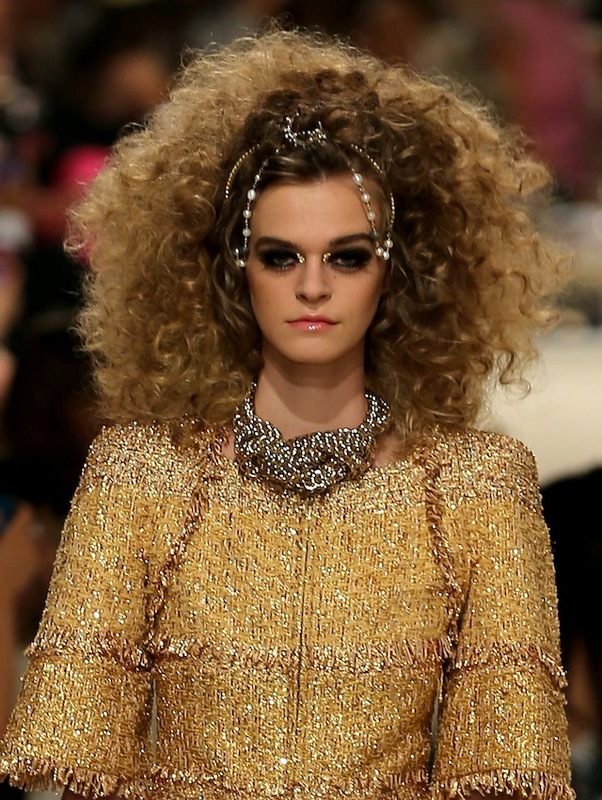 And last undertook to achieve the goal rather unexpected steps: what is one only lush, curly “lion’s” mane – this is more like a disco.But this, it seems, like Lagerfeld: avoid strict and restrained, even somewhat arrogant luxury. Volume was a key feature of hairstyles from the show. If one of the girls, Sam did curls, then add the volume using the bouffant a la Brigitte Bardot. Although individually such stacking seem distant and detached from a given subject, in conjunction with clothes and other items they looked harmoniously, especially since Sam symbolically decorated rims and hair barrettes with crescents. The team of make-up artists, as opposed to the previous display, to create without the Peter Phillips, who continues to develop as a director of make-up Dior. But it certainly did not stop them in the best way to emphasize the idea of the designer and make the show better than the heroine of Arab beauties could bewitch the eye. For this eye they used exclusively black shadows, and in the inner corners of the eyes added a bit of gold. Accentuated cheekbones and a light gloss on the lips finished image.